Wandering along the Auckland waterfront this week I rediscovered Molly MaCallister’s waterfront sculpture of a Maori warrior. 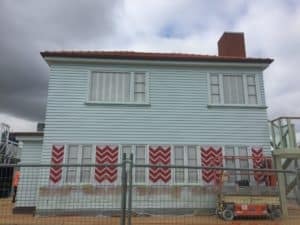 One wonders what the carry on will be when the newly completed state house based sculpture by Michael Parekowhai opens next week, given it has already provided a decent amount of public comment. 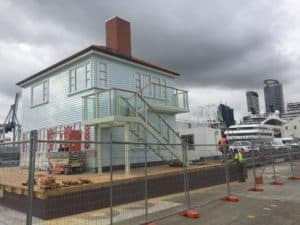 Judge it for yourself at the end of Queens Wharf from mid February.